The start of a new Club year and your new committee looks forward to working out a program of interesting trips and speakers for 2015. 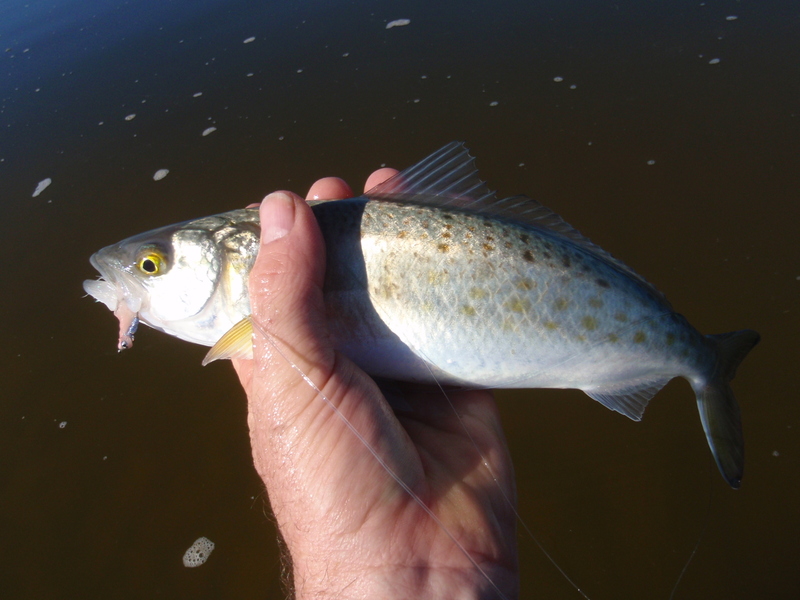 The reports from the Howqua and other streams – our usual fishing haunts don’t appear to be promising. We’ll………. Winter is upon us and the streams are closed for spawning and stream recovery. 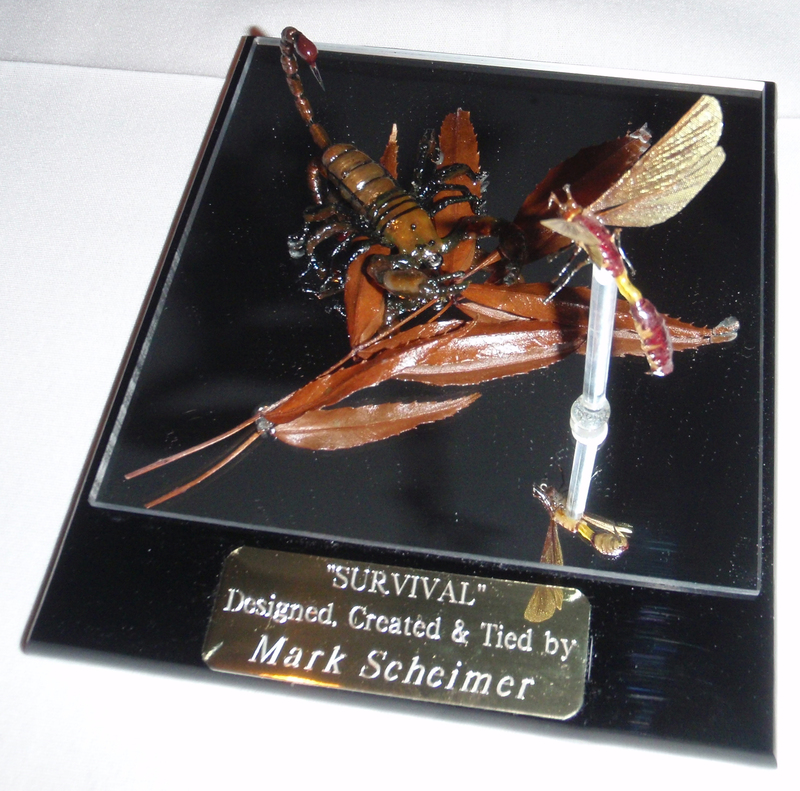 Time to think of next season and new flies – so watch this space for new dates for fly tying sessions. 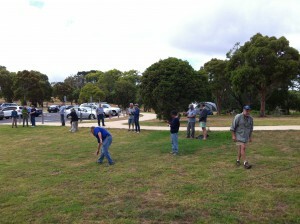 A big thanks to the guys who turned at Two Bays to help Graeme Hay……. 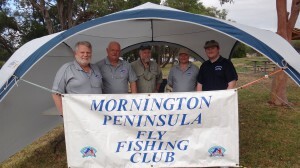 School holidays, Easter, Anzac Day, footy, picking grapes – well for me anyway – and trying to get in a little fly fishing. It must be autumn! Well at least day and night has been returned to its proper time! The Annual Dinner is fast approaching………. 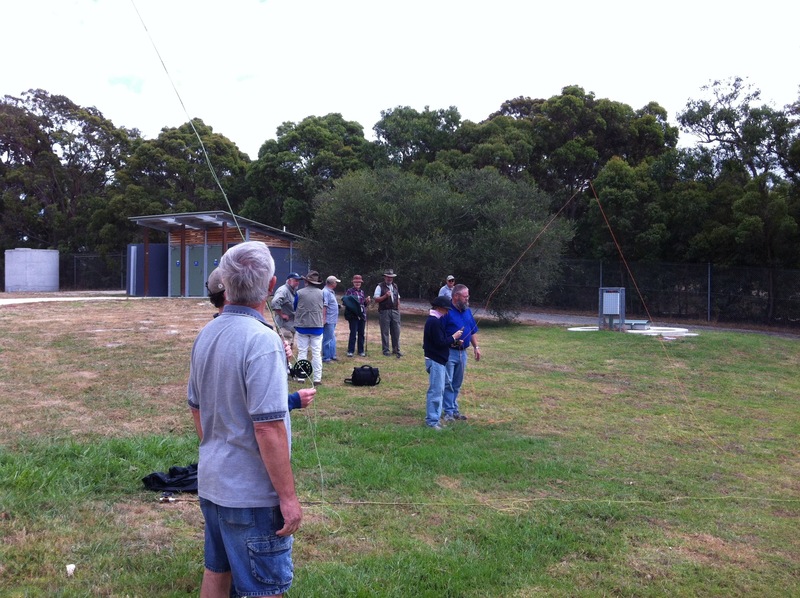 In windy but otherwise pleasant conditions fourteen members attended our first casting day at Devilbend Reserve. All members assisted in providing tuition to approximately 15 people including a number of juniors. Sam set up a casting area with hoops to cast at and was particularly patient with a number of juniors who were present at family BBQ’s and found their way to our display. 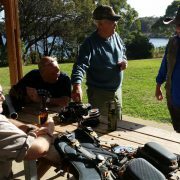 Bob tied a number of indicators for use on members rods and we were glad he brought fly tying equipment to make some more after we had exhausted his initial supply of a dozen. There was great interest from a select group of people who had been specifically invited as a result of website enquiries and it looks as though we will pick up between 4 – 6 new members for our efforts today. 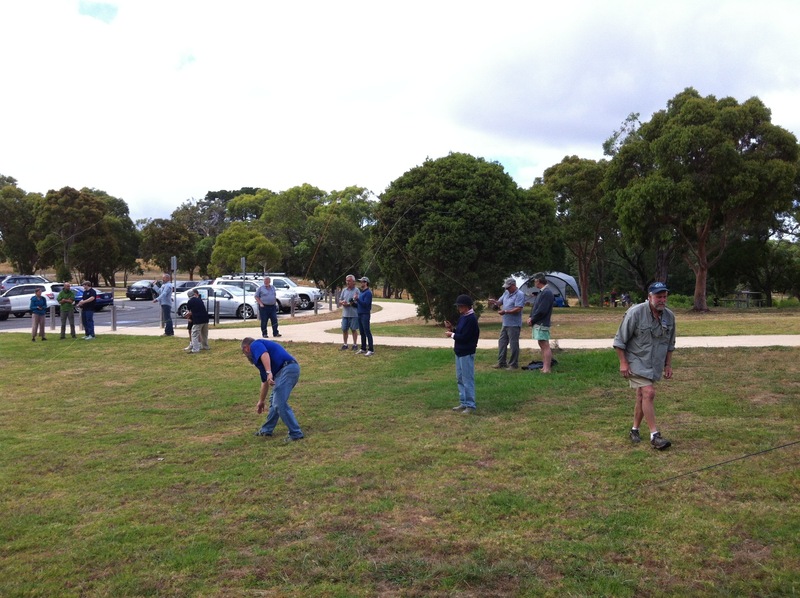 The day concluded around 1.00 pm with everybody partaking of a BBQ sausage sizzle and cool drink. Overall, members unanimously rated the day as successful both from a club promotion perspective as well as the enjoyment and camaraderie of getting together for the first club event for the year. Looking forward to the next one in May! More photos from the day on the Gallery page.